A femme fatale (/ˌfæm fəˈtɑːl/ or /ˌfɛm fəˈtɑːl/; French: [fam fatal]) is a stock character of a mysterious and seductive woman whose charms ensnare her lovers, often leading them into compromising, dangerous, and deadly situations. She is an archetype of literature and art. Her ability to entrance and hypnotise her victim with a spell was in the earliest stories seen as being literally supernatural; hence, the femme fatale today is still often described as having a power akin to an enchantress, seductress, vampire, witch, or demon, having power over men. In American early 20th century film, femme fatale characters were referred to as vamps, an allusion to their role as sexual vampires. 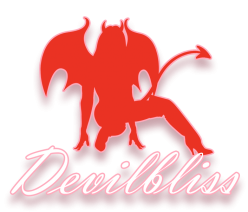 Very recently a good friend of Devilbliss Studios Miss Sabrina Sprinkles visited to do a session and had a sample image we used as inspiration. 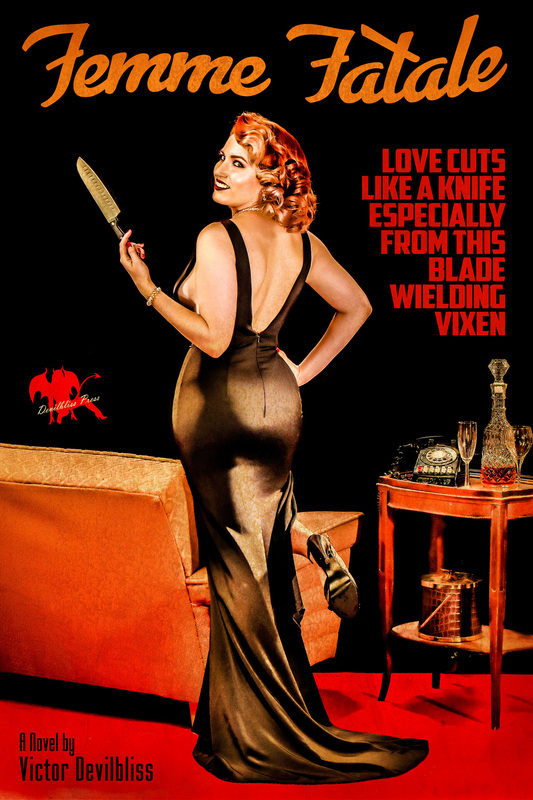 A classic Femme Fatale. I shared a few of those images on my Instagram account (you should follow that for daily samples). Those images have garnered a great deal of appreciation with some commenters even stating “are you going to offer this as a session?”. So…. YES, Yes we are. Thanks to Sabrina we are pleased to present the Femme Fatale Sessions. These will utilize a set and props as you see in these sample images. With wardrobe (we have a great in-house collection) and styling you can make this session your own. 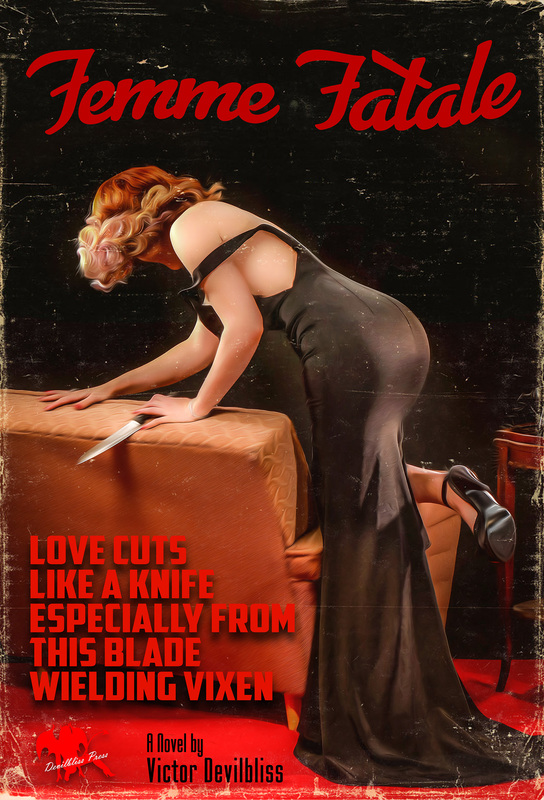 Want to kick it up a notch?, simply add a Pulp Queens Cover edit fully customized to you! A one of a kind work of art just like you. Discount sessions are available August 12th & 13th for only $250. 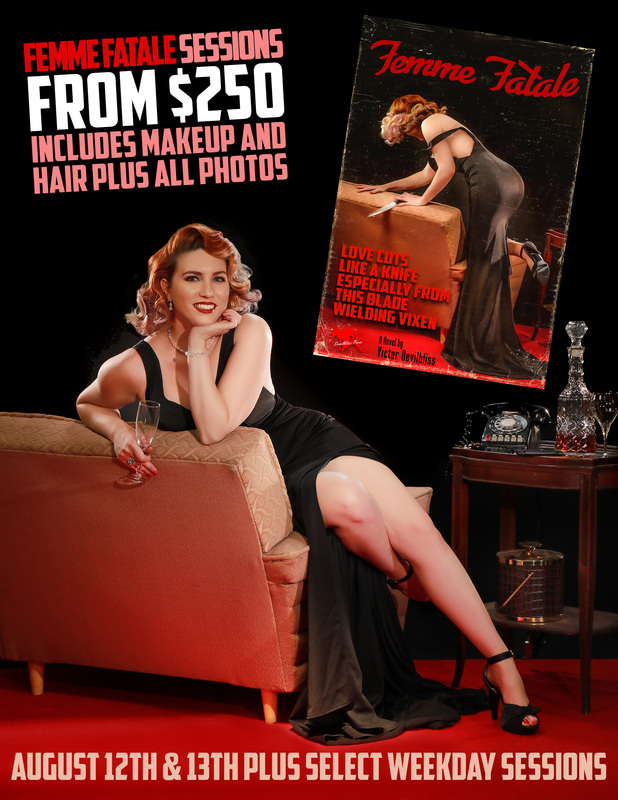 That includes full makeup and hair, EVERY SINGLE PHOTO to take home on an SD data card, access to our wardrobe. 1 Pulp Queen edit included with a 6 image edit package for only $100 more, a savings of approximately $40 when purchased separately. Need a weekday? Just ask, schedule permitting we can likely accommodate most requests.